We have more photos from the new construction in Wellesley. We installed the same flooring through out the house including the new modern kitchen! 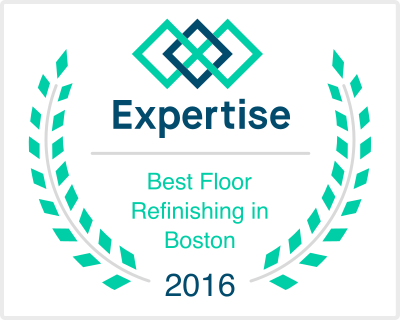 We were hired to install new hardwood floors at a new construction in Wellesley, MA. This client wanted 3″ Red Oak floors with a Bona Traffic water based satin finish. The results were a beautiful classic look. The great foundation for a cozy home! Check out the photos below! We had the pleasure of refurbishing these 150 year old pine floors at a church in Berlin, MA. We hand sanded the floors to keep the character and finished it with a tung oil waterlox finish. I love old vintage flooring! Sometimes we have big jobs and sometimes we have small ones. Here is a room we worked on with natural white oak floors. We refinished and applied a couple coats of oil based poly for a beautiful shine. We had fun restoring this custom flooring! The hardwood floors were laid with a combination of 3″, 5″ and 7″ planks with Walnut Plugs in each one. We finished with a couple layers of high gloss oil based finish for a beautiful shine! We installed these Red Oak floors with a high gloss finish. We think it looks great! We often do custom stains! This is a custom mixed stain on Red Oak hardwood floors. We used 1 coat of an oil based finish. We recently installed this beautiful Walnut floors. We applied oil based poly for a magnificent shine!